If you are looking to do your part to help keep our earth as clean and healthy it can be you might want to pick up a Budweiser product. 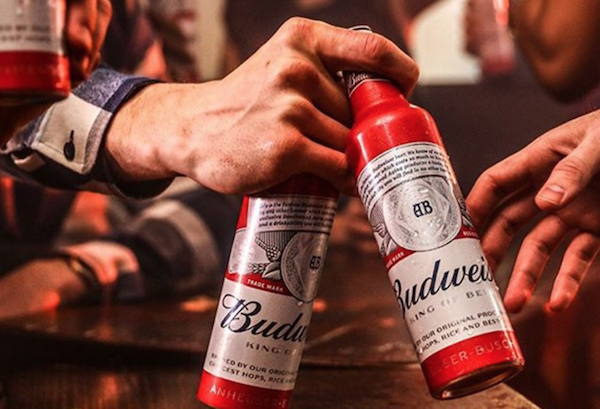 Recently Budweiser released some very green and fantastic news! Beginning April 22, every single Budweiser can and bottle will now feature a 100% renewable electricity symbol. The symbol celebrates the renewable electricity Budweiser purchases and gives back to the public grid – enough to cover 100% of the Budweiser produced in the U.S. This label and commitment is made possible by Budweiser’s partnership with Enel Green Power and their Thunder Ranch wind farm in Oklahoma. By 2025, the goal is for all Budweiser around the world to reflect this symbol as part of Anheuser-Busch’s commitment to purchase all of its electricity from renewable sources. 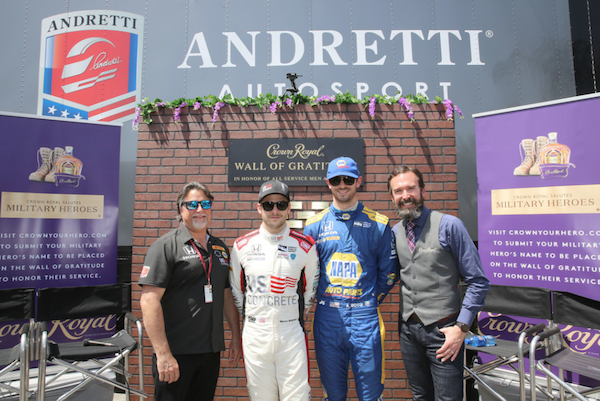 This past week Crown Royal and Verizon IndyCar Series drivers Alexander Rossi and Marco Andretti announced that they are challenging race fans to honor a record number of military heroes by Memorial Day weekend. 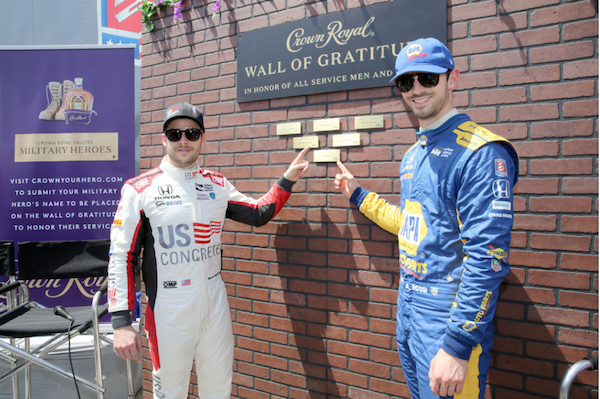 For the second year in a row, Crown Royal is building the Wall of Gratitude to inspire exceptional generosity where consumers 21+ can submit the names of their military hero to be engraved on gold plaques that are placed on the wall as a small token of appreciation for their service. The goal is to collect 31,680 names, each to be engraved on a five-inch plaque, which will equal the length of one complete lap around the Indianapolis Motor Speedway. For more information go to Crown Royal Wall of Gratitude website! As we get older we need to really watch what we put in our bodies. Earlier this year I gave up all liquids except for water. That meant no beer, juice, milk, tea, or alcohol. It was interesting to see how my body reacted to the change. One big change was that I was getting tired earlier at night. Instead of going to bed at 11 pm I would fall asleep around 9:30. I saw how not putting sugars and other items in my body effected my daily routine. After a while I saw the benefits of going to bed early and cutting out those bad sugars. When I went back to having other liquids in my diet I didn’t want to go all in on everything I used to drink. 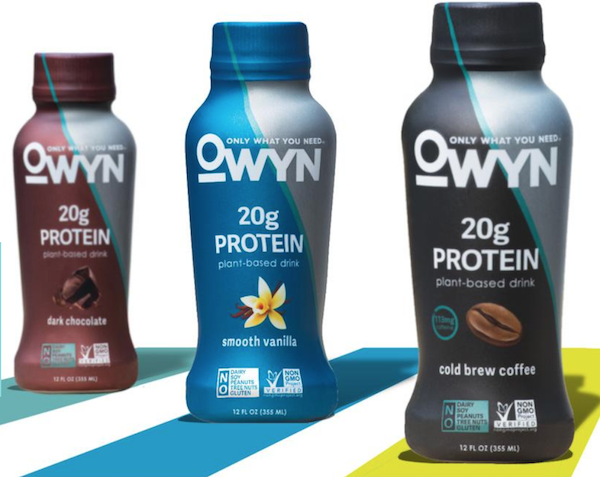 So when OWYN sent me a sample of their products I wanted to start off with a clean slate so to speak and see if these drinks would help my body with as I worked out in the morning and filled me up with the right nutrients. 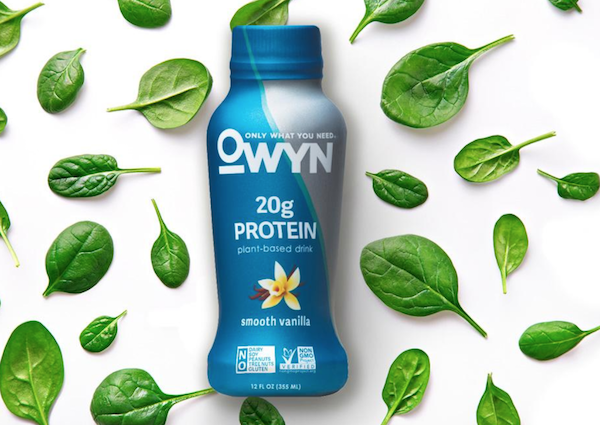 OWYN is a 100% vegan plant-based protein brand that never compromises on taste while always providing superior health benefits.OWYN’s plant-protein blend comes from multiple sources – pea, organic pumpkin, and organic flaxseed – to deliver all 9 essential amino acids (the building blocks of protein) which help in maintenance and development of muscle, hair, skin, and nails. What I noticed was that I was enjoying what I was drinking and not feeling sluggish after a workout. I wasn’t eating throughout the day. Working from home I found myself in the past going downstairs from my office to the kitchen to snack. I was grazing throughout the day. That was not healthy for me. One of my friends, who is vegan was telling me the benefits he experiences with his diet. I didn’t know if I could ever enjoy vegan items. With OWYN I know I could enjoy vegan foods. My friend was very happy to hear that. Many supplements in the market are high in sugar, and this can be pro-inflammatory. OWYN is a low sugar supplement containing only 4g per serving. OWYN provides you with almost ½ of your daily needs in one serving. Omega 3 is known to be anti-inflammatory and important for the cell structure within our eyes and brain. They also assist in the function of our cardiovascular system, pulmonary, immune, and endocrine systems. The fiber in OWYN helps you to feel satisfied longer, assists with blood sugar management, and helpful with maintaining a healthy digestive system. OWYN offers products with ingredients that you can pronounce and are not detrimental to your health. OWYN is dedicated to providing products that are made with non-GMO ingredients and have been verified by the Non-GMO Project. You can feel confident that you are purchasing product that is made without genetic altering. If you are looking to eat healthier and try a vegan supplement in your diet I would recommend you try OWYN. For more information go to their website at liveowyn.com. Crown Royal does it again. They look to help support the men and women in the military. This past week, celebrities are gathering in Augusta, Ga. before some of the best golfers in the world competed for the green jacket. 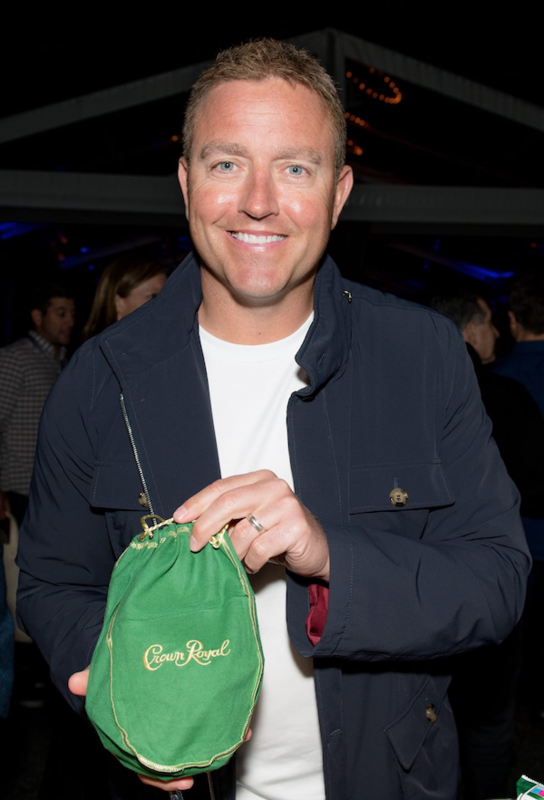 A star-studded guest list filled the Wheels Up party on Thursday night where Crown Royal hosted a bag packing station allowing attendees to pack bags for troops with items not readily available overseas. 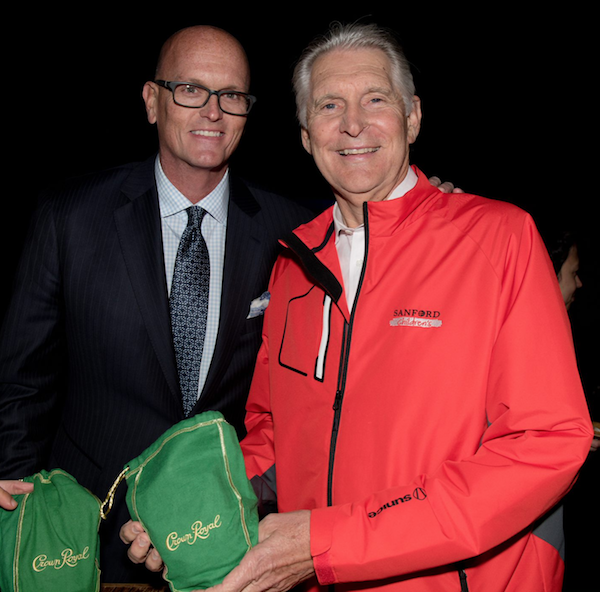 Analysts Kirk Herbstreit and Scott Van Pelt as well as former pro golfer Andy North participated in the activity and packed green Crown Royal Regal Apple bags for troops which included personal notes showing their appreciation to our service men and women. What happens when two iconic franchises team up? You need to tell everyone you know about it. 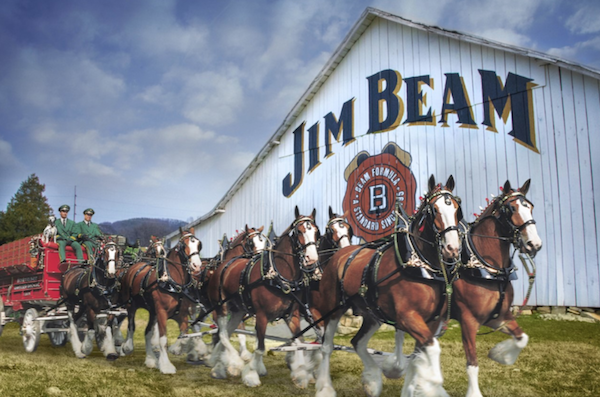 Budweiser and Jim Beam recently announced a new marketing partnership. The partnership will be two-fold, including a cross-merchandising program that will launch this Spring and a new collaborative beer launching in the fall in celebration of the 85th anniversary of the repeal of Prohibition. 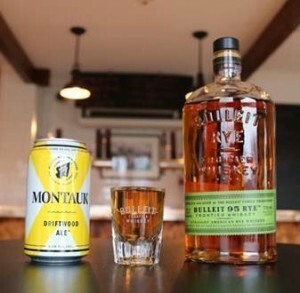 The two brands will begin appearing together at bars and retail venues across the country. 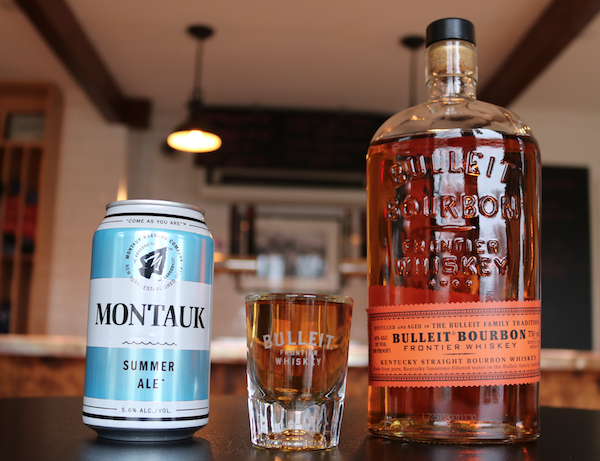 Inspired by the “beer and a bourbon shot” occasion, the new on- premise cross-merchandising program will feature Budweiser and Jim Beam bourbon together for the perfect pairing. In September, Budweiser’s brewmasters and Jim Beam’s seventh generation Master Distiller Fred Noe will celebrate the upcoming 85th anniversary of the Repeal of Prohibition with the unveil of a new limited-edition collaborative brew called “Budweiser Reserve Copper Lager.” The Copper Lager is brewed with two-row barley and aged on Jim Beam bourbon staves. We at MANjr can’t wait for September! 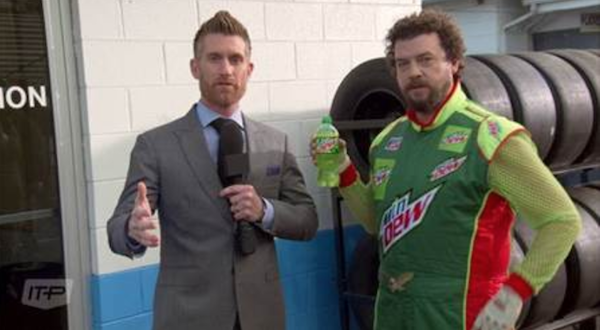 In 2017 we got to see Dewey Rider as he took on a role as the heir to Dale Jr. following his retirement and the new face of Mtn Dew. This year’s new campaign represents the second chapter in Dewey Ryder’s story as Dale. Jr.’s replacement – not only on the track but as the face of Mountain Dew. The new commercial highlights Dewey’s new ride, the perfect manifestation of his fearless and pioneering approach to racing in automobile form, complete with a Mtn Dew fridge. The hilarious spot also chronicles a phone conversation with Dale himself, following Dewey’s first appearance driving on the raceway, along with a Q&A with ESPN personality Marty Smith. This past week Seth Rogan gave us a night to remember in Los Angeles along with a star-studded cast that came together to raise funds for Alzheimer’s Disease at his 6th annual Hilarity for Charity variety show. 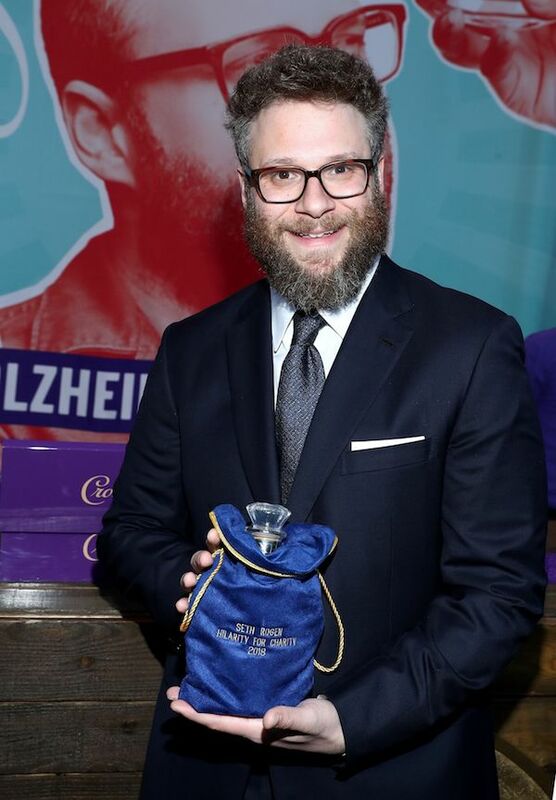 In 2012, Seth Rogen and Lauren Miller Rogen founded Hilarity for Charity as a resource for the millennial generation, to help bridge the gap in understanding the landscape of Alzheimer’s disease. Today, HFC is dedicated to raising awareness, inspiring change, and accelerating progress in Alzheimer’s care, research, and support through the engagement of millennials. Using this unique approach, HFC aims to significantly improve outcomes for all family members contending with Alzheimer’s disease by 2020. Next Saturday is National Beer Day. 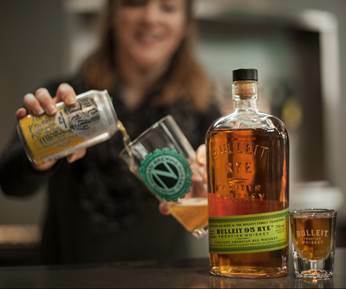 So to celebrate that fun day on April 7th, Bulleit Frontier Whiskey has found two ultimate Bulleit Boilermaker pairings for spring. To help their search, Bulleit challenged their friends at Montauk Brewing Co. (Montauk, NY) and Ninkasi Brewing Co. (Eugene, OR) to select their best beers to pair with each of our high-rye frontier whiskeys. If you enjoy Budweiser beer you are already being rewarded with the great tasting beer. If you have not set yourself up for the Budweiser Rewards program than you need to fix that. With the rewards program you can get a bunch of fantastic items. You can redeem your points for premium rewards that fit your lifestyle, including Budweiser Swag: clothing, electronics, home accessories, and digital wallpaper, tickets to sports and music events in your are, discount codes from our digital partners, including Lyft and Drizl and even enter to win once-in-a-lifetime sports and music experiences and much more! One exclusive item is the Axe beechwood bat inspired by Budweiser. 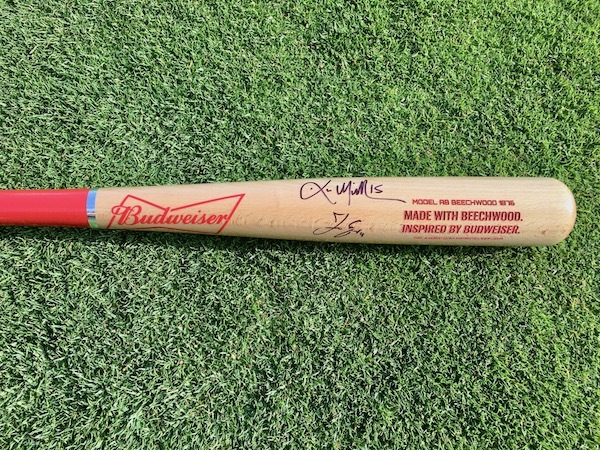 They were able to pull some strings to get the Bud beechwood bats on Budweiser Rewards – perfectly timed to Opening Day today. Please note the bats will not be autographed. I had a chance to test these bats out last week and they are legit. Plus when you have Houston Astros World Series MVP, George Springer and former Boston Red Sox great and World Series champ Kevin Millar help you out with batting practice you feel like your ready to play in the MLB! You have to be 21 years old or older to enroll into Budweiser Rewards! Go to www.budweiser.com/en/budweiser-rewards.html to sign up. It is Friday. You are just getting out of work. You are heading out the door as fast as you can while you are thinking about your weekend plans. 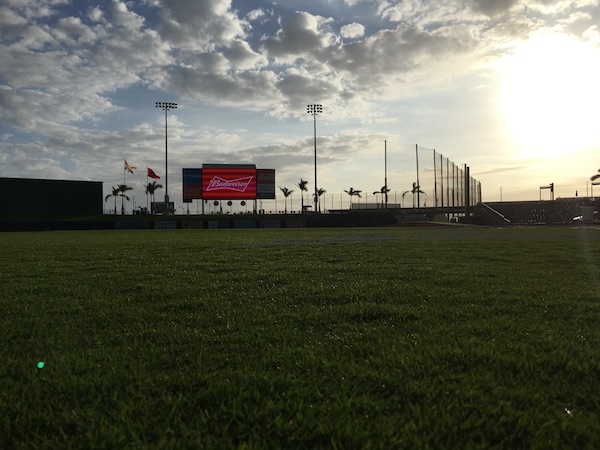 Whether you are meeting up with your friends at a bar or hanging at your place or going to the ballpark you can almost taste the hot dogs and ice cold beer. During that time chilling with your friends have you ever thought about how your beer is made? I am guessing that you all know the ingredients in your beer, but do ever stop to wonder about the process of how your beer is made while you enjoy said beer with your friends as you watch your favorite baseball team? Most people would not. For Budweiser, they are not asking you to know about all the steps it takes to make the beer that you are drinking. They want you to focus on the good times you are having with your friends. To be honest I have never given it much thought either. I would go to the bar and buy a round for my friends. While I was buying that round I wasn’t thinking of the brewmaster or scientists or all the other employees that go into making sure that the Budweiser that I am drinking was perfect. Like I said before Budweiser is not asking you too. Yet here is my challenge to you. If you are ever in an area where Budweiser offers a tour I would highly recommend that you take that tour. 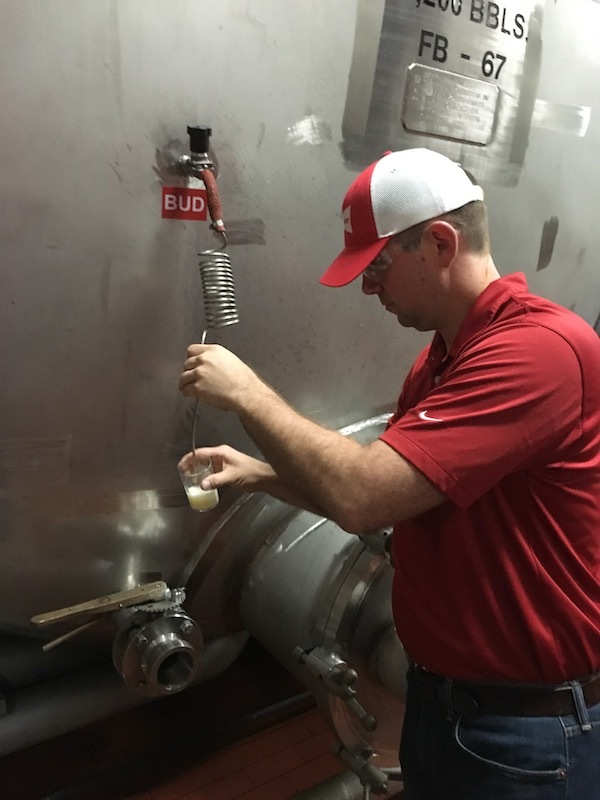 Not only will you get to sample the freshest Budweiser that you will ever taste, but you will get an appreciation for all of the hard work that everyone at Budweiser goes through for you so you can enjoy watching the game with your friends. 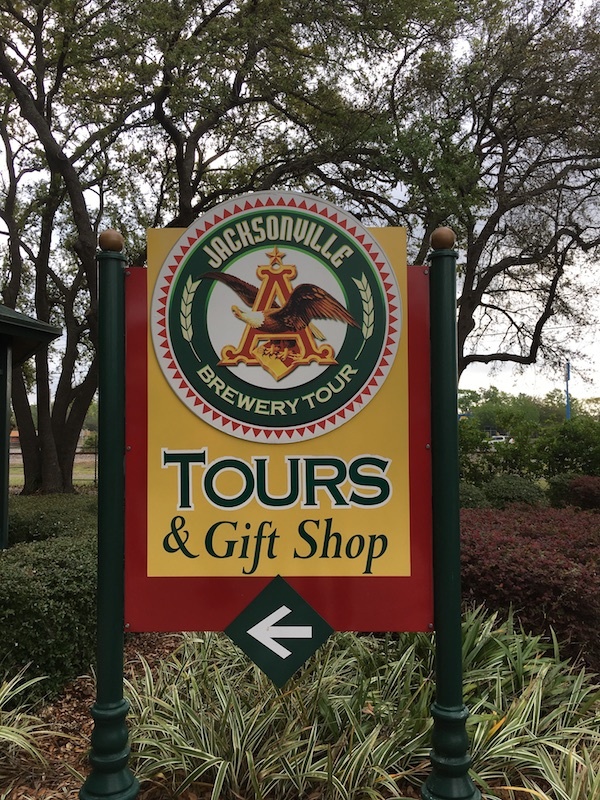 I had the great opportunity to check out the Jacksonville, Florida Brewery as well as get the inside scoop on the Houston Astros with a Major League Baseball Spring Training one of a kind experience. 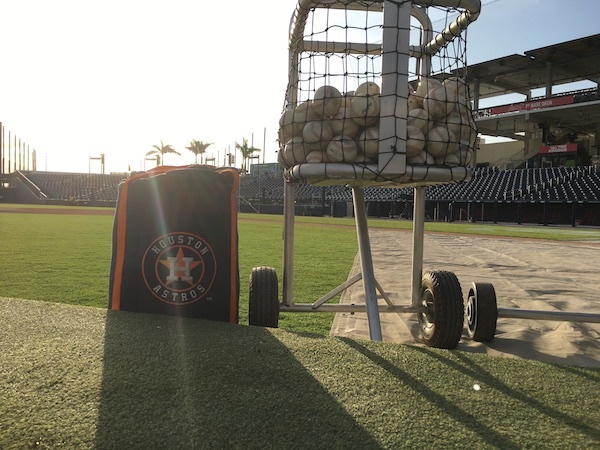 Budweiser invited me to go on a trip where I got to know more about Budweiser and what goes on at the Houston Astros Spring Training facility in Florida. 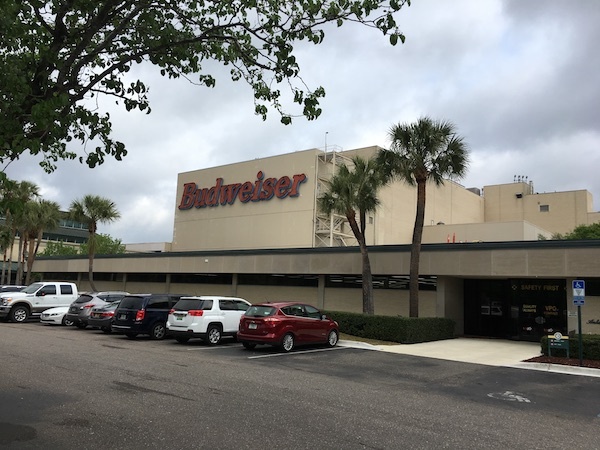 The first day started off at the Budweiser Brewery in Jacksonville. There we were on a guided tour from the Head Brewmaster and staff about how Budweiser is made from start to finish. I even got to help with the brewing process by adding in some beechwood into a vat. So someone out there will be enjoying a Budweiser that I had helped to make. Granted it was a very small part in the process, but it was cool to know that I helped in a some way! 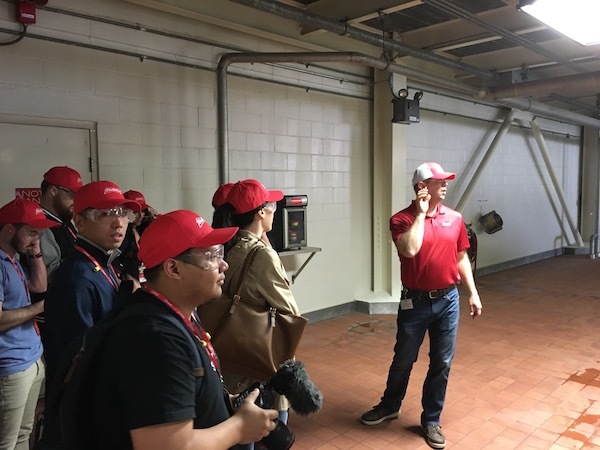 During the tour we learned that since day one, Budweiser has used the same recipe to brew its beer. Budweiser sources five key ingredients to brew its beer: water, barley malt, rice, yeast, hops. 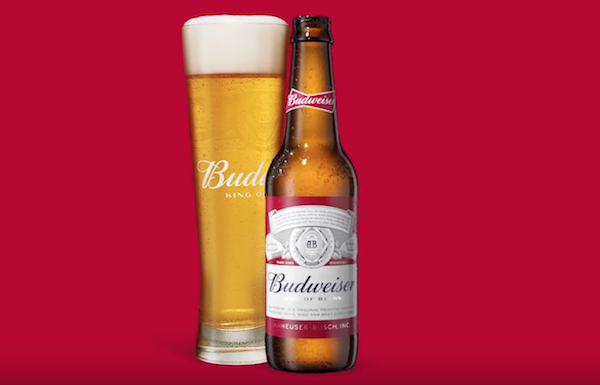 The yeast used in Budweiser today is directly descended from the original yeast used by Adolphus Busch in 1876. The exact formula is a closely guarded secret. Budweiser is not messing around. They keep that formula under strict lock and key! As I mentioned about the beechwood that I helped to add in the brewing process Budweiser has been perfected by brewmasters using the technique of beechwood aging, which is responsible for Budweiser’s smooth, signature taste. During aging, the beer is kraeusened with a special blend of fresh wort and yeast. Natural carbonation is produced while the beer rests on Beechwood chips for several weeks to perfect the flavor. As the tour progressed I kept on gaining more respect about Budweiser’s brewing process. It takes about 30 days to brew, twice as long as it takes to make other ales. For Budweiser, they believe quality takes time. Brewmasters at every Budweiser brewery gather every day at 3pm to taste samples of beers from various stages of the brewing process to ensure quality and consistency. If the beer doesn’t meet their incredibly high standards, it is discarded. I got to sample the freshest Budweiser ever. It had a cool, clean, and refreshing taste. I can honestly say that it was best Budweiser that I have ever tasted. After the tour we headed over to another room for lunch where we tasted the different stages of Budweiser. It gave you a real sense of what goes on for each step as the Brewmaster and the staff make sure that you tasting the absolute best. The Brewmaster even talked about which food to pair with Budweiser and how to pour a beer into a glass the right way. I want to share some knowledge on how to pour beer into a glass so you can be the hit of the party. If you are pouring a beer from a can or bottle into a glass do not tip your glass on a slant like you see bartenders do. Instead keep the glass level on the table and pour the beer right in the middle of the glass. That way all the excess carbonation will be removed and you won’t feel so full. Feel free to pass this info onto your friends. The people at the Jacksonville Budweiser Brewery were fantastic. They answered all of our questions. They took the time to show us all aspects of the beer making process. 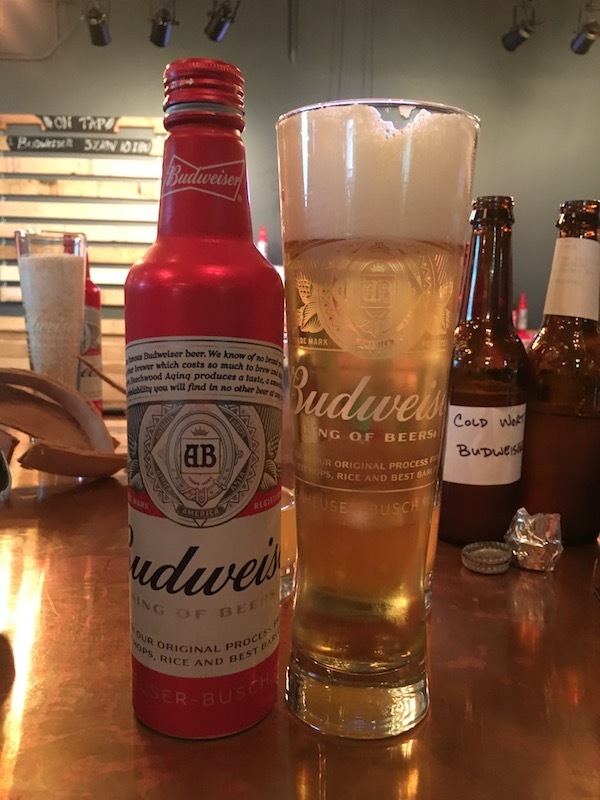 I know that the next time I pour a Budweiser into my glass I will remember all the steps the good folks at Budweiser go through to make a great tasting beer! 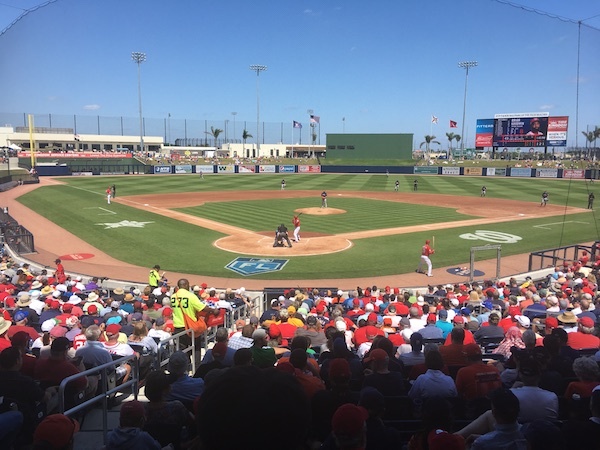 As we traveled from Jacksonville to West Palm Beach in a van my fellow writers and I were treated by the Budweiser team with some Buds, snacks and baseball themed movies. As one fellow writer, Brandon Stroud dubbed us the Vanlot because we watched The Sandlot, The Sandlot 2 and Sandlot 3, which I never new the sequels existed, we shared a bunch of laughs as we watched all three while headed to our next destination. This is the sort of comradery that a baseball team has as they travel together for their next game. One of the many highlights of the trip was getting to make new friends and share some Buds together! 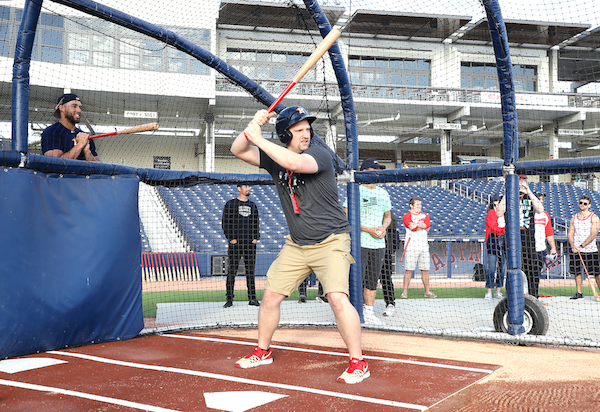 The following day we headed on over to FITTEAM Ballpark where the Houston Astros and Washington Nationals share the facility. This is where the trip went from awesome to ridiculous. And by ridiculous I mean an unforgettable experience. Budweiser not only hooked us up with a tour and tasting at their Jacksonville Brewery, but they made this baseball fan’s dreams come true. I am still in shock by what took place earlier this week. Budweiser partnered with Axe Bat and George Springer to create custom Axe beechwood bats inspired by Budweiser’s quality beechwood. Springer is an official partner of Axe Bat and uses the company’s engineered handles exclusively. Budweiser partnered with George Springer and Kevin Millar as part of its Legends program. After chilling with Springer and Millar we got a guided tour of the FITTEAM Stadium and all the ins and outs. It was built about two years ago and has all the amenities that a baseball team is looking for. After the tour we went back down to the field and watched both teams take in some batting practice. 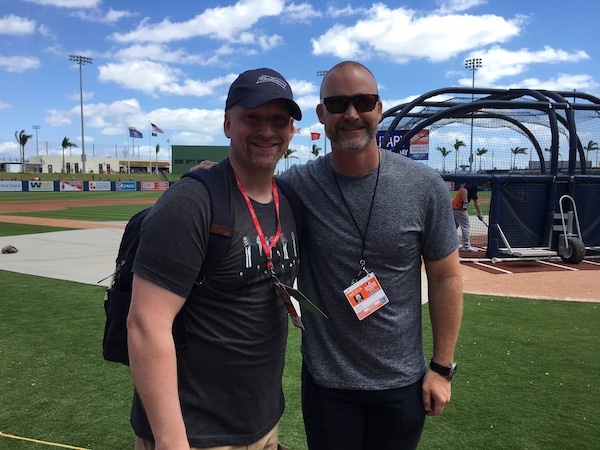 I even got to see former Red Sox and Chicago Cubs World Series Champ, David Ross on the field. Then we were treated to the Budweiser suite and have some tasty Budweisers and ballpark food as the Nationals and Astros played in a preseason game. It was the perfect ending to an amazing trip. Please note: Budweiser invited me on this media trip, but my thoughts and words are my own.